Meeting with H.R.H. Prince Khalifa bin Salman Al Khalifa, Prime Minister of the Kingdom of Bahrain; signing ceremony and joint press conference with Prime Minister Khalifa; dinner hosted by Prime Minister Khalifa; talks with members of Japanese and Bahrain business communities; courtesy call by Vice Admiral John W. Miller, Commander of the U.S. Fifth Fleet and Commander of the Combined Maritime Forces; meeting with King Hamad bin Isa Al Khalifah; presentation of the Order of Khalifa; luncheon hosted by H.M. King Hamad; and telephone talks with H.R.H. Prince Salman bin Hamad Al Khalifa, the Crown Prince of Bahrain. Welcome ceremony hosted by H.E. Sheikh Jaber Mubarak Al-Hamad Al-Sabaj, Prime Minister of the State of Kuwait and talks; meeting with H.H. Sheikh Nawaf Al-Ahmad Al-Jaber Al-Sabah, Crown Prince; talks with Speaker of Kuwait National Assembly H.E. Mr.Al-Ghanim; Business Seminar sponsored by the Kuwait Chamber of Commerce & Industry; and meeting, signing ceremony and dinner with H.E. Prime Minister Sheikh Jaber. Visit to the Japan Self-Defense Force (JSDF) operational facility; meeting with H.E. Mr. Ismaïl Omar Guelleh, President of the Republic of Djibouti; courtesy calls by Ms. Osman, principal of Fukuzawa Secondary School, and others concerned with Japan and Djibouti. Opening remarks at the Japan-Qatar Business Forum; meeting with H.H. Sheikh Tamin bin Hamad Al-Thani, Amir of the State of Qatar; meeting and signing ceremony with H.E. Sheikh Abdullah bin Nasser bin Khalifa Al Thani, Prime Minister and Interior Minister; luncheon hosted by Prime Minister Abdullah; and press conference. A. The objectives of Prime Minister Abe's visit to the Middle East were (I) to further strengthen and expand the "comprehensive partnership towards stability and prosperity" between Japan and the Middle Eastern countries, and (II) to encourage JSDF personnel engaged in anti-piracy activities in a tough environment and strengthen Japan's relations with Djibouti. B. Based on the strong bonds with these countries, as demonstrated by the 40th anniversary of the establishment of diplomatic relations with Japan and the heartfelt support given to Japan in the wake of the Great East Japan Earthquake in March 2011, Prime Minister Abe confirmed with their leaders plans to build a "comprehensive partnership towards stability and prosperity," to cooperate in wide-ranging areas of the economic field beyond resources and energy, and to build multilayered relations, including political and security areas as well as cultural and personnel exchanges. C. Seeds sown by Prime Minister Abe when he visited the Middle East in 2007 have borne their fruits one after another. He confirmed Japan's policy to continue to contribute to the region in various fields, including education, infrastructure, medicine and agriculture, using its technology and know-how in joint coordinated efforts of public and private sectors. D. The Middle Eastern leaders expressed their strong hopes that the Japanese economy will become rejuvenated by utilizing the vitality of the fast-growing Middle East and that Japan will play an even more active role in the region not only in the field of economy but political area as well. They highly valued the JSDF, and Prime Minister Abe reconfirmed the need for Japan to further contribute to the region's peace, stability and prosperity. E. Following Prime Minister Abe's visit to the Middle East in May this year and the hosting of the Fifth Tokyo International Conference on African Development (TICAD V), Japan took a big step toward strengthening its relations with the Middle East and Africa with his latest visit. The visit marked also as a historic visit for building a new relationship between Japan and the Gulf countries. From the viewpoint that Japan should play an increasing political role for the stability in the region, Prime Minister Abe agreed with the leaders of the countries to cooperate closely for the region's stability by strengthening political dialogue, establishing a security dialogue and increasing exchanges of defense personnel. With their rich energy resources, the Middle Eastern countries are moving toward nation-building amid rapid economic growth and they are very interested in Japan's technology and know-how. The Japanese government supports mutually beneficial collaborative cooperation involving the industrial sectors of the two sides, including not only the energy field but also infrastructure improvements. As was the case on Prime Minister Abe's visit to the Middle East in May this year, many business leaders from agricultural, medical and other sectors accompanied him to each country. They held talks with the concerned people in the Gulf countries and had opportunities to present fruits produced in Japan to demonstrate their high quality. Government and private-sector participants in the visit felt anew a positive response from this full-fledged economic diplomacy carried out jointly by the public and private sectors. Prime Minister Abe was also accompanied by educational experts, under the Japanese government's plan for inviting 20,000 trainees from the Middle East and dispatching Japanese experts over the coming five years. The leaders of those countries said they highly appreciated Japan's educational system. Prime Minister Abe agreed with them on cooperating in the fields of education and science, spreading Japanese-style education in the countries, expanding the acceptance of Middle Eastern students in Japan and strengthening human resource development. » The two countries agreed to establish a security dialogue between their diplomatic and defense authorities and to cooperate closely for stability in the region. To prevent terrorism and organized crime, Japan and Bahrain signed a Statement of Cooperation on the exchange of information on money laundering. Vice Admiral Miller, Commander of the U.S. Fifth Fleet and Commander of the Combined Maritime Forces, highly evaluated Japan's anti-piracy and minesweeping efforts in the region. » Prime Minister Abe confirmed Japan will cooperate with Bahrain in various fields, including oil development and refining, health and medicine, and agriculture. (The two countries signed a memorandum on cooperation in the medical field, a memorandum on agricultural cooperation and an agreement on clinical study.) 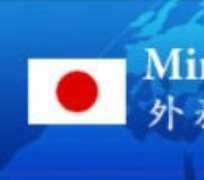 » In view of the needs of the Bahrain side, Japan agreed to consider the provision of technical cooperation on a cost-sharing basis implemented by the Japan International Cooperation Agency (JICA) as well as the development of human resources through the Japan International Cooperation Center (JICE). » Following a Japanese request, Bahrain agreed to remove import restrictions on Japanese food products. » Prime Minister Abe and the Bahrain leaders agreed on educational cooperation provided by Japan, including Japanese language education and the dispatch of experts to support Bahrain's educational efforts. » Bahrain welcomed Japan's plan to consider mutual visa exemptions for diplomatic or official passport holders for entry into each country for diplomatic or official purposes or for a short stay. » Prime Minister Abe and the Kuwaiti leaders agreed to hold an early meeting of the Joint Committee between the Government of Japan and the Government of the State of Kuwait, to strengthen policy dialogue between the Foreign Ministries of the two countries and to create a high-level security dialogue between the Foreign and Defense Ministries of the two countries. The two nations agreed on Japan's public-private collaborations, which have a comparative advantage in both technologies and maintenance and management for large-scale infrastructure improvements, based on Kuwait's Second Five-Year Plan and signed a Memorandum of Cooperation on Kuwait's national development. They also affirmed Japan's cooperation for infrastructure development in the field of water, energy and transportation. » Both parties agreed on cooperation in various fields, including exchanges and collaboration in medical care, agriculture, nuclear safety and disaster management, education and human resources development. » The two countries signed a Memorandum of Cooperation between the Ministry of Education, Culture, Sports, Science and Technology of Japan and the Ministry of Higher Education of Kuwait. » Kuwait welcomed Japan's consideration for mutual visa exemptions for diplomatic or official passport holders for entry into each country for diplomatic or official purposes or for a short stay. » Prime Minister Abe expressed his gratitude to President Guelleh for Djibouti's cooperation with the JSDF's anti-piracy activities. He also expressed gratitude to the president for his participation in TICAD V.
» Prime Minister Abe explained again that Japan will steadily implement the commitments for Africa he announced at TICAD V. He also said Japan will continue supporting Djibouti's efforts toward infrastructure improvement. » Prime Minister Abe expressed readiness to support in the electricity infrastructure field (assistance for the implementation of studies for realization of geothermal power generation development and for the improvement of electricity supply in the City of Djibouti) and the maritime security field (study concerning supply of patrol vessels to the coast guard of Djibouti and dispatch to Djibouti of experts on maritime law enforcement). » Japan and Qatar agreed to strengthen policy dialogue between the Foreign Ministries of the two countries and signed a memorandum to this effect, to establish a security dialogue and to further increase exchanges of personnel between their defense authorities. » Both parties affirmed their cooperation in various fields, including the stable supply of energy by Qatar, petroleum and gas development, infrastructure development, medical care and agriculture, and signed two memorandums on petroleum and gas development. » The two countries agreed to strengthen their cooperation in the educational field, including spreading Japanese-style education in Qatar and increasing the number of Qatari students to study in Japan. » Qatar welcomed the simplifying of visa application procedures for ordinary passport holders by Japan and Japan's consideration for mutual visa exemptions for diplomatic or official passport holders for entry into each country for diplomatic or official purposes or for a short stay.